Gubble Bubble Kingdom by Denise McCabe. A story for your children to listen to here. Is Your Kid The Bully? This is a review of Help! 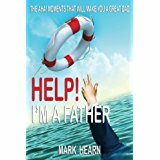 I’m a Father, by Mark Hearn. This book offers some great for tips advice on parenting and from a father’s point of view from birth to adult. When I was pregnant with my first child I read all the standard books on parenting and I thought I had it all sussed until the actual reality set in. No one really told me about the actual little day to day events that will occur that I just wasn’t prepared for. Drugs as we know have and still are a huge problem in today’s society. The other week I was gobsmacked though after having a conversation with a friend of mine about her teenage son that had started secondary school. He came home and told her about a boy who had got caught selling drugs in the school hallway. He then went on to tell her how the kids are easily buying drugs online and arranging meet ups. Blogger Recognition Award is a positive and nice time to see the interaction of others and who are taking the time to read each other’s blogs and connecting. The internet world is such a vast place and is growing daily and therefore it is easy to get lost among it. I was truly honoured to have received an email from Magicmindz informing me that they have put my blog down as one of the nominations. This is a great blog I have been following for a while now as it covers a range of topics including parenting, relationships, creativity and I would recommend to pop over and see for yourself. The other month my 7 year old informed me that he had his own you tube channel. When I say I was gob smacked, that was an understatement. I wasn’t aware of it at all, and I was annoyed at myself for not noticing. I felt like the worst mother ever! I had all sorts of thoughts of what he had on it, when he was recording it, was he talking to anyone and if there was any personal stuff going on in the background and more the fact, that all along, I was thinking he was playing away on games while I was pottering around the house. Thankfully there wasn’t much on it, as it was just a channel with his daily ramblings. There were a couple of idiotic comments from people, nothing derogatory, luckily enough but however I did notice though that some of the vocabulary being used was a little advanced which was quite worrying. I also showed him how to block people if there were any bad comments. It did get me thinking however of the safety of the internet. When I first joined Facebook for example I had all sorts of creeps annoying me. One guy was sending pictures of him and his mother to me. Another offered me a car so I said “Yes, that would be nice” and gave him a PO box number to post it over to me. Thankfully I discovered the block button. As parents, it’s not a nice thought of children being exposed to that, so what we can do to keep our children safe?